The content of this section is regularly updated. Annett Arnold is a university-certified social education worker and in 2005 followed her calling to TeenSTAR, a program concerning sexual pedagogy with the goal of value-oriented personality-building of young people. After the first couple of years teaching fourth graders, she and her colleague Elisabeth Pesahl created the family-oriented program TeenSTAR Kids for boys and girls aged 9 to 11. Since 2011, she is available as a mentor to all TeenSTAR Kids instructors in Germany, Austria and South Tirol. 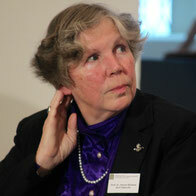 She lives in Colditz, Sachsen together with her husband and five children. Her home, a remote valley, inspired her to successfully include nature as a force of creation in the children’s personality-building. 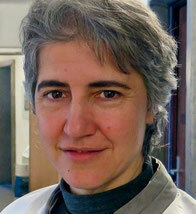 Carmela Baeza is a medical doctor, specialized in family medicine and in sexual therapy. She holds a Bachelor´s degree in Public Health Education and is an International Board Certified Lactation Consultant (IBCLC) since 2005. 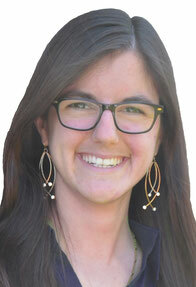 She works in a private Family Wellness Clinic, Raíces, at Madrid/Spain where she is in charge of the lactation program. She also teaches Natural Family Planning (Symptothermal Method and LAM) and is the current president of the Spanish Lactation Consultant Association (AECCLM). She is the author of “Amar con los Brazos Abiertos” (To Love with Open Arms), a parenting book. It has two parts, the first to make the science behind breastfeeding easy for parents to grasp, and the second to address everyday parenting emotional issues that parents can turn from barriers into assets for their family growth. She also has scientific publications in the breastfeeding field. Pio Barletta and his wife Carla Bonifati are both 62 years old and live in Castrovillari in southern Italy where both were born. Pio studied political sciences in Rome for two years before deciding to take the risk of entrepreneurship in the production of leather products. Through the years, however, the market developed significant problems, leading Pio into unemployment. Carla earned a degree in psychology from the Sapienza University of Rome and specialized in transactional psychology. She then taught religion at public schools and worked in a private practice at the same time. After having been together for five years, Pio and Carla married in 1979. A serious crisis occurred in 2001 and was resolved after ten years. Nowadays Pio works intermittently in his sister’s leather store. Carla continues to teach and work as a psychologist. Both belong to the fraternity of Communione e Liberazione. Carla dedicates herself to questions concerning the education of adolescents whereas Pio takes care of migrants in reception centers for refugees. Dr. phil. 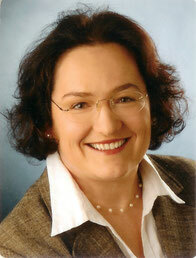 Beate Beckmann-Zöller (born 1966) lives south of Munich together with her family. She is an independent religious philosopher and lecturer at the catholic Stiftungsfachhochschule (academy) for social work as well as at the phil.-theol. College Heiligenkreuz (study program body – commitment – identity). 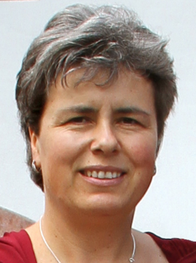 She earned her doctorate with a dissertation about Edith Stein (Phänomenologie des Religiösen Erlebnisses, Würzburg 2003) at the TU Dresden under Prof. Hanna-Barbara Gerl-Falkovitz. She took part in the edition project of the Edith Stein collected works with six of 28 volumes. Besides the Edith Stein gender anthropology, she did research on women who helped shape the history of the church through their intellectual influence on popes (Frauen bewegen die Päpste. Leben und Briefe der Hildegard von Bingen, Birgitta von Schweden, Caterina von Siena, Mary Ward, Elena Guerra und Edith Stein, Augsburg 2010). Concerning a comparison of world religions, especially Christianity/Islam, she focused her research in the past years on gender relations and published the small book “Hingabe und Unterwerfung” (GGE-Verlag, Hannoversch-Münden, 2016). Dr. Stefan Endriß (born 1973) studied catholic theology in Freiburg, Munich and Rome from 1993 to 1999. From 2000 to 2005 he worked as a research associate at the Chair of Dogmatics in Trier and earned his doctorate degree with a thesis on Hans Urs von Balthasar and Sören Kierkegaard. He taught catholic education at two high schools near Freiburg and works at the Institute for Religious Pedagogy. Since he was a student, he has been familiar with the theology of the body and is working on a scientific paper about the marriage catecheses of John Paul II. in moral theology. In addition, he wrote a publication ("Liebe mit Körper und Geist. Die kirchliche Sicht der Sexualität Jugendlichen nahegebracht. Mit einem Geleitwort von Bischof Rudolf Voderholzer") inspired by the theology of the body. He is married and father of two sons. 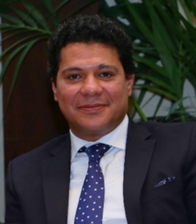 Wael Farouq is Lecturer for Arabic at the Catholic University of Milan, author, literary critic, scholar of Islamic studies and writer for several magazines. He was lecturer for Arabic at the American University of Cairo and visiting professor at the University of Macerata/Italy from 2006 until 2015. In 2011 and 2012 he was a Straus research scholarship holder at the Straus Institute for the Advanced Study of Law and Justice at the University of New York. He has authored numerous articles on contemporary Islamic thinking, some of them in cooperation with Pope Benedikt XVI as well as Pope Francis. Several excerpts were recently published by Italian daily newspapers. Furthermore, he supervises the blog IslAmico of Vita magazine. Teresa Forcades i Vila (1966) is a physician, theologian and Benedictine nun in the mountain monastery of Sant Benet de Montserrat (Catalonien, Spain). Master of Divinity with a dissertation on the philosophical underpinnings and the pitfalls of multicultural dialogue apropos C. Taylor and H.G. Gadamer (Harvard, 1997), doctor in Public Health with a dissertation on alternative medicine (U. Barcelona, 2004) and doctor in Sacred Theology with a study of the notion of person in classical Trinitarian theology and its relationship to the modern notion of freedom as self-determination (Facultat de Teologia de Catalunya, 2007). 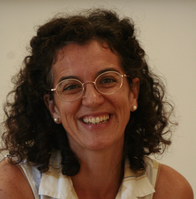 Her publications include in English: Crimes and Abuses of the Pharmaceutical Companies (Cristianisme i Justícia, Booklet 124, 2006) and Faith and Freedom (Polity Press, 2016) and in Catalan or Spanish, among others: La Trinitat, avui (PAMSA, 2005), La Teologia Feminista en la Història (Fragmenta, 2007), Ser persona, avui (PAMSA, 2011), Per amor a la justícia: Dorothy Day i Simone Weil (HOAC, 2016) and Els reptes del Papa Francesc (Viena, 2017). In 2009-10 and then again in 2013-14, she taught at the Theology School of the Humboldt University in Berlin. She is director of the journal of Christianity and critical thinking „Iglesia Viva“ and professor of the Doctoral Program in Critical Gender Studies at the Universidad Íberoamericana in Ciudad de México (México). She currently writes a book on bioethics. Prof. Dr. phil. habil. Dr. theol. h. c. Hanna-Barbara Gerl-Falkovitz earned her doctorate in philosophy in 1971 and in 1979 became professor of philosophy at the LMU Munich; she held lectureships at the universities of Bayreuth, Tübingen and Eichstätt; from 1989 to 1992 she held a professorship at the Pädagogische Hochschule Weingarten; from 1993 until 2011 she was chair of religious philosophy and comparative studies of religion at the Technische University of Dresden. Since 2011 she is chairwoman of the European Institute for Philosophy and Religion (EUPHRat) at the Pontifical Athenaeum Benedict XVI Heiligenkreuz near Vienna. Her research focuses on contemporary religious philosophy (Hegel, Nietzsche, Edith Stein, Simone Weil and Romano Guardini); contemporary phenomenology; anthropology of the sexes. Scientific contribution to the Edith-Stein comprehensive works edition in 27 volumes, published by Herder Freiburg 2000-2014. Suzy Ismail is founder and leading communications consultant at Cornerstone, a leading religious consulting center for communication focusing on identity building and the improvement of the relationships of couples, families and teenagers. 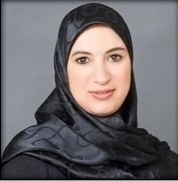 She authored several books, for instance “Modern Muslim Marriage”, “9 to 5”, “When Muslim Marriage Fails”. She specialized in holding lectures and workshops concerning various aspects of communication at big companies, universities and events. She was interviewed by numerous media outlets and appeared in international talk shows. Suzy Ismail talks about furthering teenagers, couples and women, about the relationships between the sexes and identity. She holds seminars for families on a global and local level and serves as student counselor at a private high school. 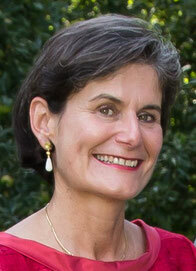 She is currently Managing Director of several charitable boards, commissions and organizations. She is about to receive a doctorate in human services with a focus on family intervention and lives in Princeton, New Jersey with her husband and their three children. Martin Kirschner is a professor for “theology in the transformation processes of today“ at the catholic university Eichstätt-Ingolstadt. 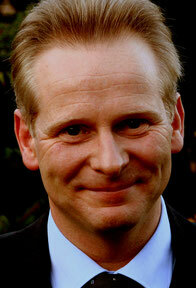 He was born in Bad Kreuznach in 1974, is married and has four children. He was anointed permanent deacon in 2009 and works as a deacon in the Sankt Paulus parish in Tübingen. After studying catholic theology (diplom) and political sciences (M.A.) in Trier and Tübingen, he earned his doctorate degree in Tübingen with a thesis on the social posture of the church in the late modern age. From 2001 to 2006 he was a research associate of Prof. emer. Dr. Dr. h.c. Peter Hünermann, then from 2006 to 2011 he was an assistant at the Chair of Dogmatics of Prof. Dr. Thomas Freyer in Tübingen who he stood in for as a private lecturer from 2012 to 2016 following his retirement. Habilitation took place in 2011 with the topic: „Gott – größer als gedacht. Die Transformation der Vernunft aus der Begegnung mit Gott bei Anselm von Canterbury.“ Besides various lecture assignments he worked in pastoral, training of permanent deacons and in adult education. His research focus includes the teachings of god and ecclesiology, theological rationality and epistemology as well as a political and public theology. Fr. 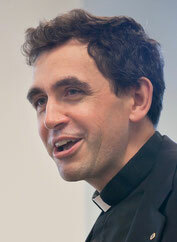 Antonio López is Provost/Dean and Associate Professor of Theology at the John Paul II Institute in Washington DC. His research and writing is focused in the areas of Trinitarian theology, metaphysics, theological anthropology, and sacramentality of marriage. He is the author of „Spirit’s Gift: The Metaphysical Insight of Claude Bruaire“ (CUA Press, 2006), „Gift and the Unity of Being“ (Wipf & Stock, 2014), and „Rinascere: La memoria di Dio in una cultura tecnologica“ (Lindau, 2015). With Fr. 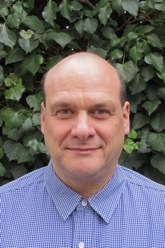 Javier Prades he edited „Retrieving Origins and the Claim of Multiculturalism“ (Eerdmans, 2015). He also serves as editor of Humanum Academic Press, and of the English Critical Edition of the Works of Karol Wojtyła and John Paul II, forthcoming from CUA Press. 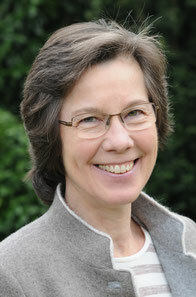 Dr. Elisabeth Luge is a Germanist with a major in German as a foreign language. After two years as a DAAD lecturer at the foreign language school in Shanghai, she returned to the University of Würzburg as a lecturer for German linguistics and earned her PhD in 1996. She is a certified course instructor for Gordon family training, a multiplier for natural conception regulation according to Prof. Rötzer as well as an Assistant of Community, tf TZI/IR. She has been a trained TeenSTAR course instructor for 8 years and is nowadays involved in training herself; in 2015 she was called into the board of directors of TeenSTAR Germany. She has been married for 30 years and has four children. Dr. phil., dipl. theol. Helmut Müller, born 1952, married, five children, Academic Director at the Institute for Catholic Theology of the university of Koblenz-Landau, Koblenz campus. As a research associate, he represents the areas moral theology, social ethics and religious philosophy. Studied catholic theology, philosophy and psychology in Bonn, Munich and Freiburg, doctorate in Munich under Reinhard Löw at the chair of philosophy I (Prof. Dr. Robert Spaemann). Last publication on the conference topic: Der Ordo amoris in Amoris laetitia – Eine Lesehilfe. In: Regnum (50) 3/2016, S. 123-135. 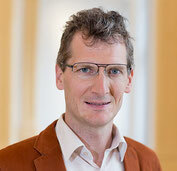 Dr. Hanns-Gregor Nissing, born 1969 in Dinslaken/Niederrhein, married, two children, studied catholic theology, philosophy, germanistics and pedagogy (Münster, Munich and Bonn), 1996 degree in catholic theology (Münster), 2004 Dr. phil. (Bonn) with the thesis „Sprache als Akt bei Thomas von Aquin”, since 2012 lecturer for the formation of faith at the Maltesers’ spiritual center in Ehreshoven. Publications on the works of Karol Wojtyla/John Paul II. : „Wer ist der Mensch? Skizzen zur Anthropologie" (Translation, Munich 2011), „Staunend vor dem Menschen. Das Denken Papst Johannes Pauls II." (with Stefan Zekorn, Kevelaer 2011). – Several events on the „theology of the body” as part of the Nightfever academy. 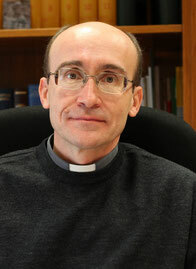 Javier María Prades Lopez earned his law degree at the Universitá Autonoma de Madrid (1982) and his doctorate in theology at the Pontifical University Gregoriana in Rome (1991). He is a priest of the archdiocese of Milan and a founding member of the "Asociación para la Investigación y la Docencia Universitas" (Association for Research and Teaching Universitas). He holds the chair of Systematic Theology I at the Faculty of Theology of the Ecclesiastical University San Dámaso in Madrid where he currently serves as rector of the Ecclesiastical University San Dámaso. He is also a member of the International Theological Commission. Dr. phil. Ralf Reißel is a pedagogue and as such primarily concerned with the anthropological foundations and pedagogical implications (also pertaining to sexuality) of the theology of the body. He thereby follows a central change in direction by John Paul II., who wanted the theology of the body to be understood not only as a theological anthropology, but also as a "pedagogy of the body". Dr. Reißel is a scientific lecturer at a catholic academy for social pedagogy in Schwäbisch Gmünd and an advisor for marriage, sexuality and spirituality in the context of the theology of the body. 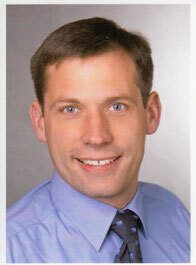 He earned his doctorate in 1999 at the University of Fribourg/Switzerland, is married and has four children. 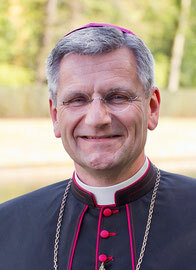 Auxiliary Bishop Dr. Dominikus Schwaderlapp was born 1967 in Selters/Westerwald and ordained to the priesthood in 1993. After a few years as chaplain in Neuss he became Chaplain to the Archbishop and Private Secretary in 1996. 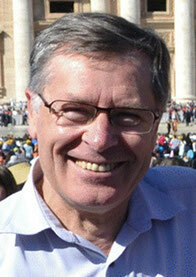 In 2002 he earned his theological doctorate and in 2004 he was appointed Resident Canon. From 2004 until 2012 he was Vicar General for the Archbishop of Cologne. On March 25, 2012 he received episcopal consecration and has served since then as auxiliary bishop in Cologne for the northern pastoral district. He is also Episcopal Vicar for religious congregations. For his doctorate, Bishop Schwaderlapp studied the teachings of John Paul II about marriage and family. In addition to publishing about this topic (“Forever Yes. A course about love” and “Yes, again and again. 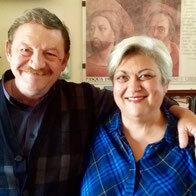 Marriage check.”) he regularly holds marriage preparatory courses, is involved in marriage counseling and contributes as a lecturer to the degree course “Theology of the Body” at the Pontifical Athenaeum Benedict XVI Heiligenkreuz near Vienna. 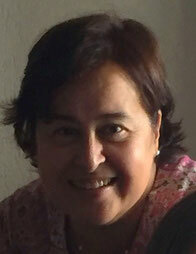 Dr. Teresa Suárez del Villar studied medicine and sexology in Madrid and Alcalá de Henares and holds a master’s degree from the Papal John Paul II. Institute for Studies on Marriage and Family in Rome. Prof. Dr. phil. Habil. Dr. theol. Janusz Surzykiewicz studied philosophy and theology in Lublin, earned his doctorate in practical theology in the area of christian spirituality at the Gregoriana in Rome; further qualifications in psychology, pedagogy and social ethics followed at universities in Italy, USA and Germany as well as a second doctorate (Catholic University of Eichstaett-Ingolstadt) and the habilitation in pedagogy (University of Warsaw). Since 2001, he held the Chair of Social Pedagogy at the University of Warsaw. He took over the Chair of Psychagogy at the Kardinal-Stefan-Wyszyński University in Warsaw in 2007. He held the professorship for pastoral theology and general psychology at the Department of Religious Pedagogy and Church Educational Work since 2008 and moved to the Chair of Social Pedagogy at the Philosophical-Pedagogical Faculty in 2016. He is a trainer and coach in international coaching associations (ICI, EASC). His main research areas include interdisciplinary questions in social-pastoral, health promotion and spirituality as well as education and guidance. In addition to his scientific work, he is involved in the pastoral care of the arch diocese Munich-Freising as a catholic priest. 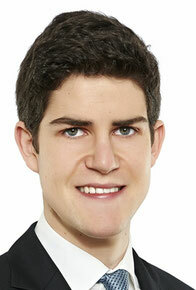 Benedikt Weber (born in 1990) is originally from the Eifel mountains. Following high school, he spent one year in the United States looking after students at a catholic boarding school of the Regnum Christi. He subsequently studied mechanical engineering with a major in process engineering at the RWTH Aachen. Since 2015 he has worked as a research associate at the Chair of Fluid Process Engineering of the RWTH Aachen. During his engineering studies he participated in the degree course on the Theology of the Body at the Pontifical Athenaeum Benedict XVI Heiligenkreuz near Vienna and graduated as an “Academic Consultant for Theology of the Body according to John Paul II.” (Focus: marriage, sexuality and spirituality). Since that time he has had frequent occasions to reflect upon the theology of the body and has delivered numerous lectures on the theology of the body together with his wife Linda Weber. Karolin Wehler graduated from the tourism college in Bad Hofgastein and Klessheim (Austria) and worked in the international hotel business. She is mother of six children, advisor at the Institute for Natural Conception Regulation Dr. Rötzer e.V., TeenSTAR trainer and academic advisor for the theology of the body (study program Heiligenkreuz). As an advisor, she is involved in marriage preparation and support as well as in the training of deacons and priests in the arch diocese of Cologne. In that function, she covers the areas marriage, spirituality and sexuality.